Landlords have served notice on Corona, Dubrovnik and Moskva, a trio of iconic watering holes in the capital that could now be replaced by a hotel. 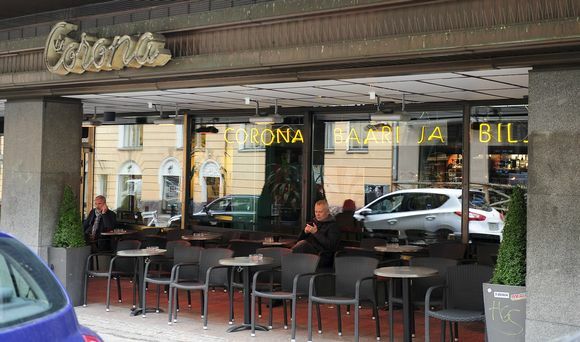 A legendary bar part-owned by Finnish film director Aki Kaurismäki is set to be turfed out of its premises as the landlord sets about renovating the building. The Corona, Dubrovnik and Cafe Moskva bars are all on the corner of Fredrikinkatu and Eerikinkatu, and have for years provided an alternative spot in Helsinki’s bustling nightlife. The premises include an art house cinema, Andorra, and are owned by Eerikinkadun Kulttuuriravintolat Oy. The building’s owner, the Master Builders’ Foundation, says that it needs a complete overhaul and that the renovation will take two years. The businesses currently in situ will have until next March at their present location. The foundation is currently negotiating with different operators about the building’s future. Autio would not comment on the plans, but other sources suggest one option could be a hotel. The renovation and eviction of the current tenants was first reported by Helsingin Sanomat.